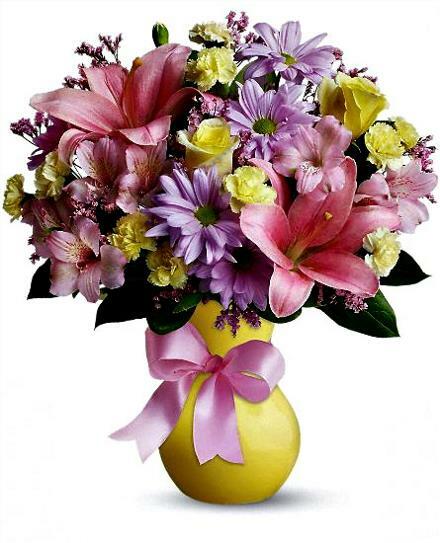 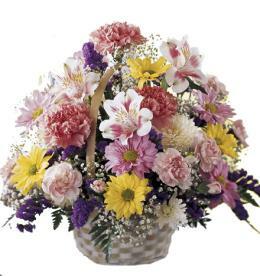 Light yellow roses, pink asiatic lilies and alstroemeria, light yellow miniature carnations, lavender daisy spray chrysanthemums and pink limonium are gorgeously arranged in a suitable vase, complete with a satin bow. 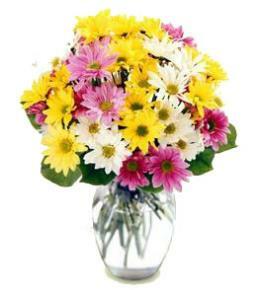 Sweeter than sweet!. 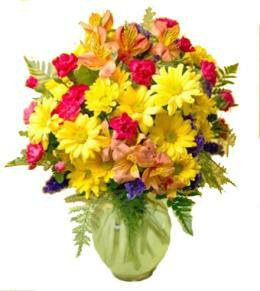 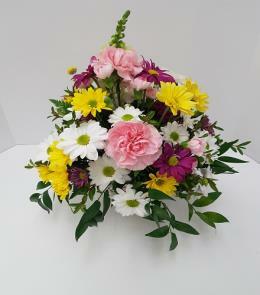 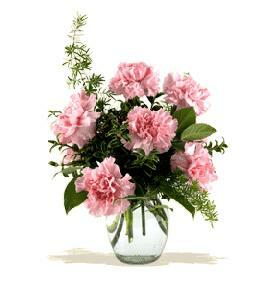 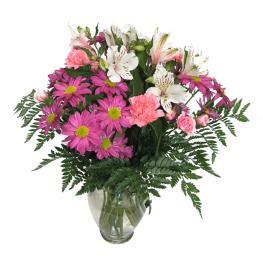 Birthday Flowers For Her - Simply Sweet in Vase.